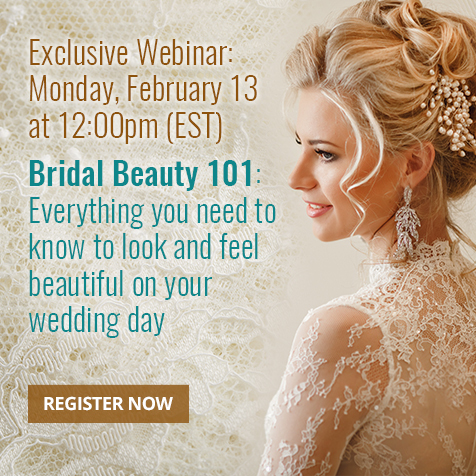 Home > Blog > February Wedding Webinars! 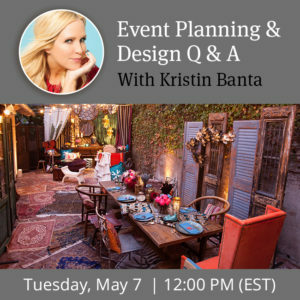 We have two exciting wedding webinars this month! 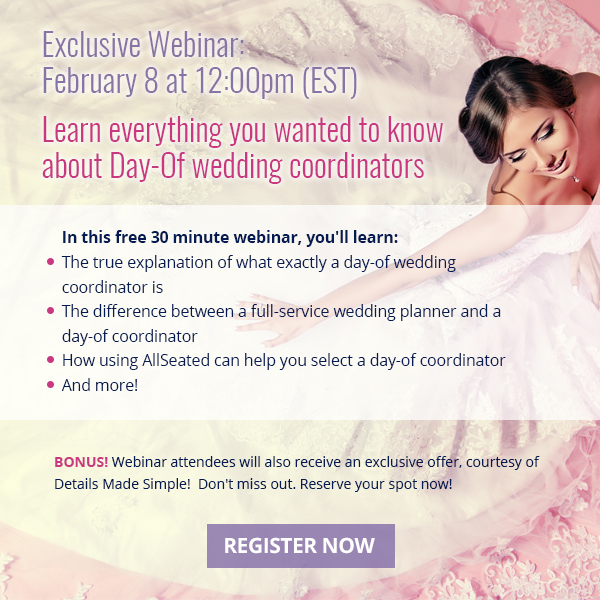 Learn everything you need to know about the benefits of hiring a day-of coordinator in this exclusive wedding webinar featuring advice and tips from Carla Friday, Founder of Details Made Simple, a unique and fun Wedding Day Coordination company. How you look and feel on your wedding day can make or break this special day! Create the perfect beauty routine for your wedding day with expert tips from Lauren DeCosimo, bridal hairstylist, and owner of Pinned & Proper. 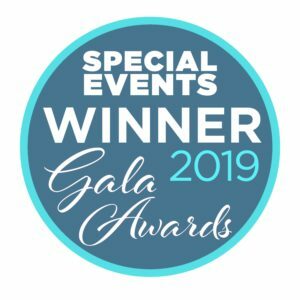 Reserve your spot today and know that you’re well on your way to being organized and looking beautiful on your wedding day! Register Now! 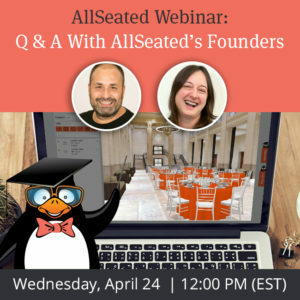 For a full listing of AllSeated’s webinars, click here!